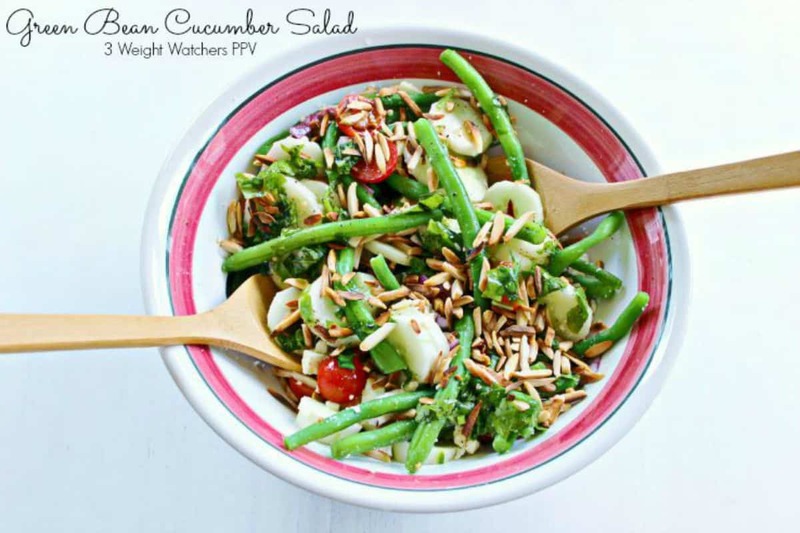 Do you like to take amazing photos of recipes? If you’re like me, you obsess over the staging of these photos, as well as what the background of the photo will look like. In my opinion, the background of a food photo can make the difference between an okay picture and an amazing shot. 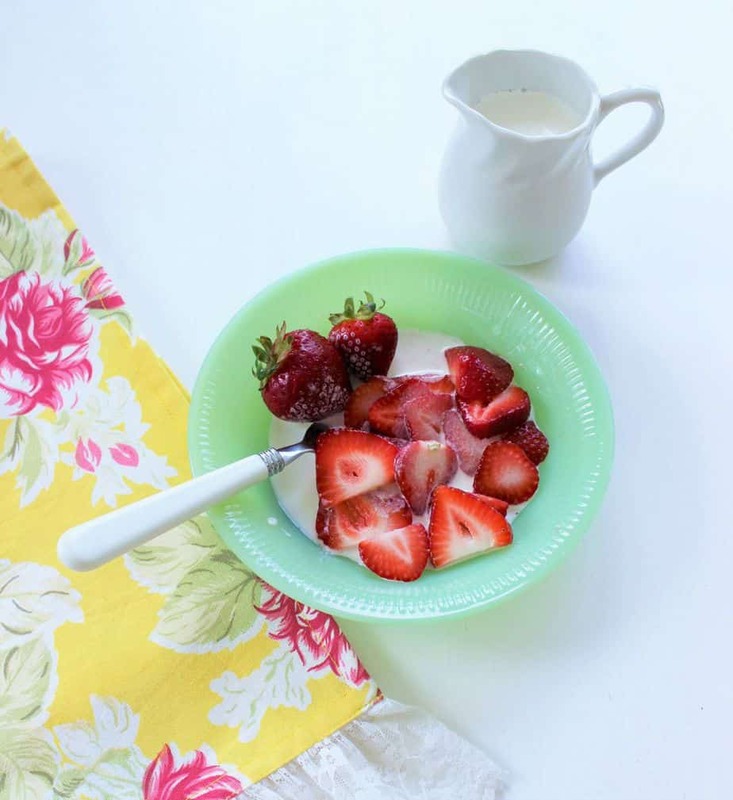 In the past, I’ve used my wooden dining room table, pretty dish cloths, cutting boards, and even a roll of photo backdrop paper made to look like rustic wood. 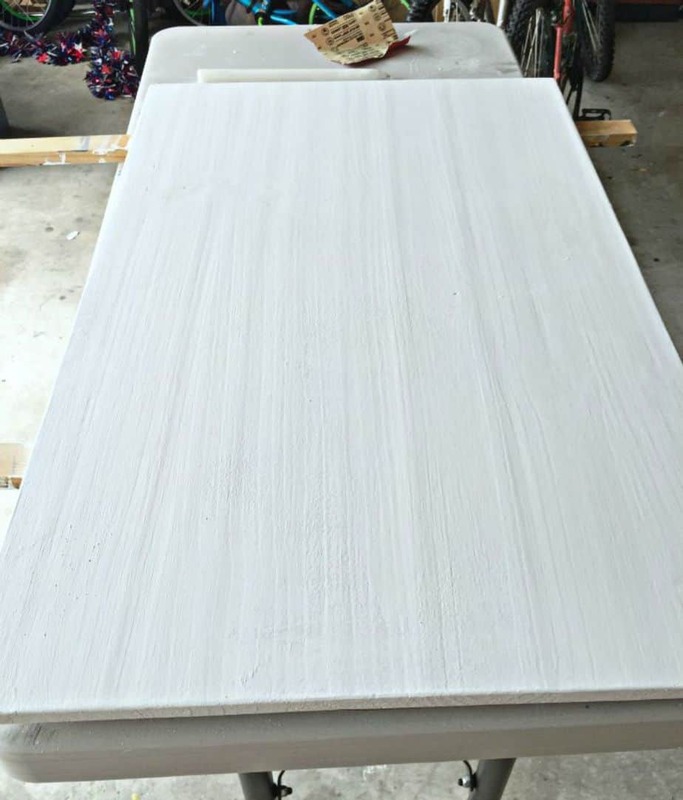 I finally decided that I wanted to have an authentic piece of white, distressed wood to use for my recipe photos. 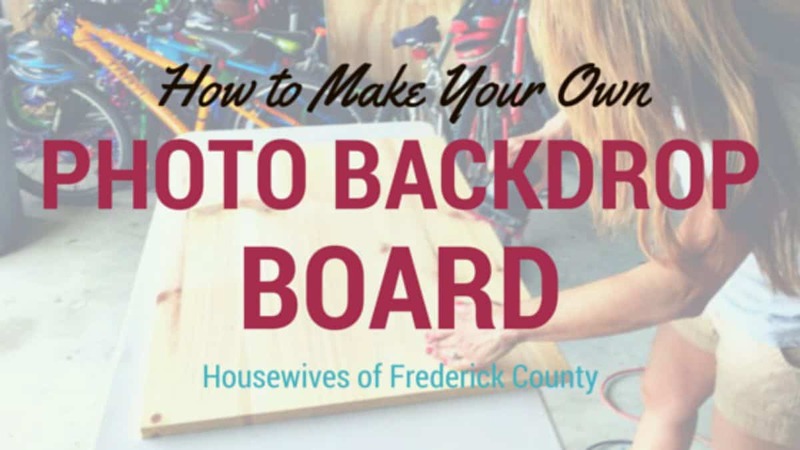 In this post, we’re going to show you how to make your own photo backdrop board. 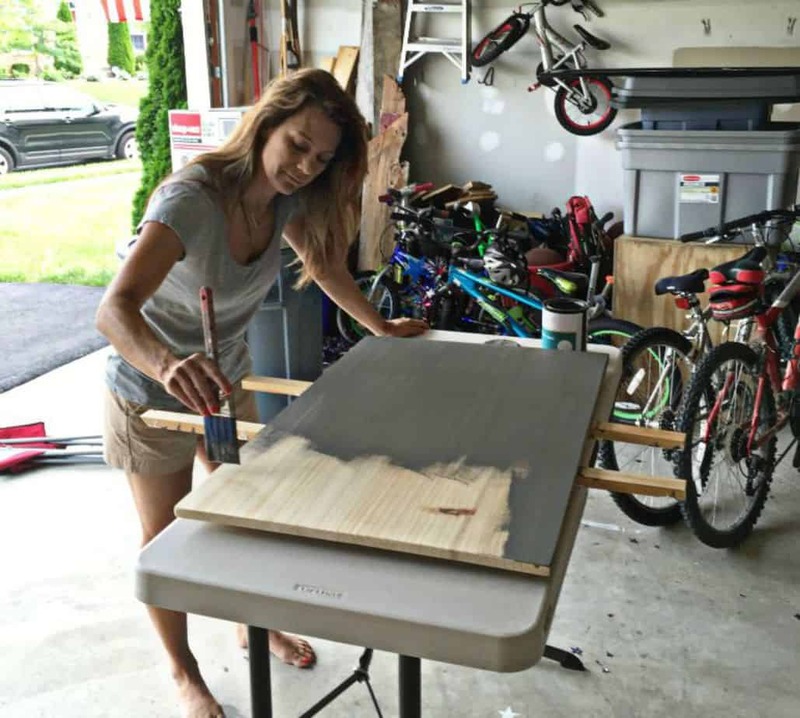 Admittedly, Terri & I aren’t the craftiest of people, so we decided to turn to the experts, our friends, Lauren Hoch and Tonya Martin at Sissy & Co.
Sissy & Co creates custom, hand-painted, personalized home décor. I asked Lauren to make me a nice size piece of wood, painted white and then distressed. 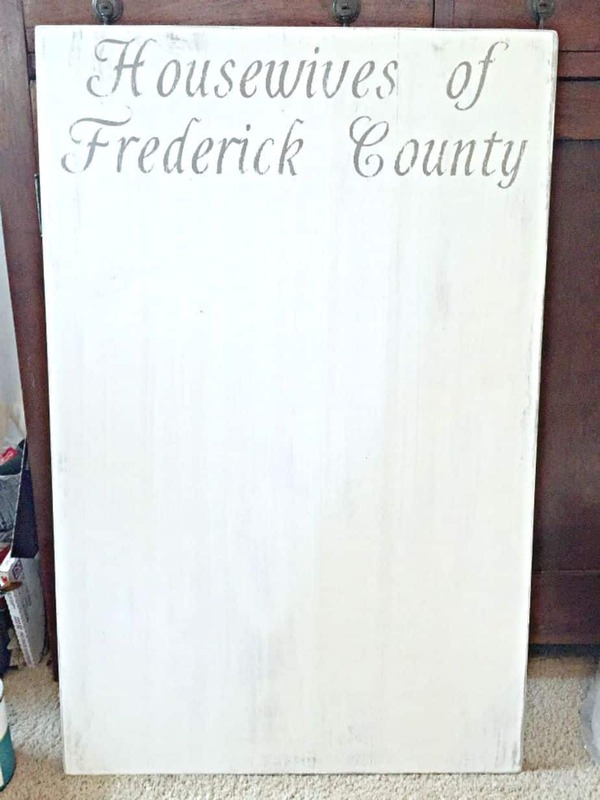 As a bonus, she added ‘Housewives of Frederick County’ to one side of the wood for me to use in pictures or flip the wood over to use it without the lettering. Start with plain wood. This piece is from Home Depot. Cut to the size you want. 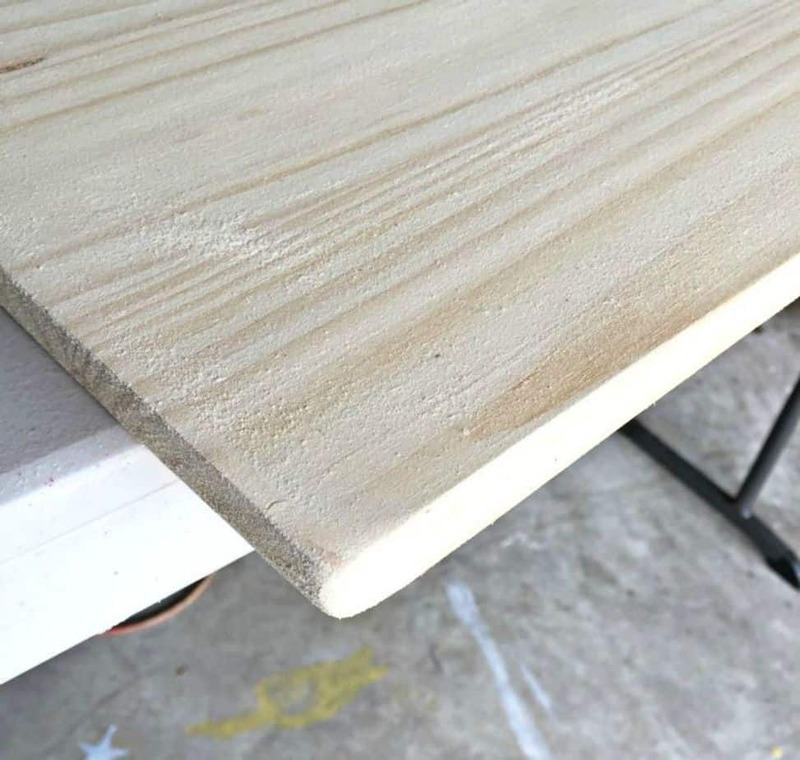 Sand wood to get rid of the rough surface. I also round the edges a bit. 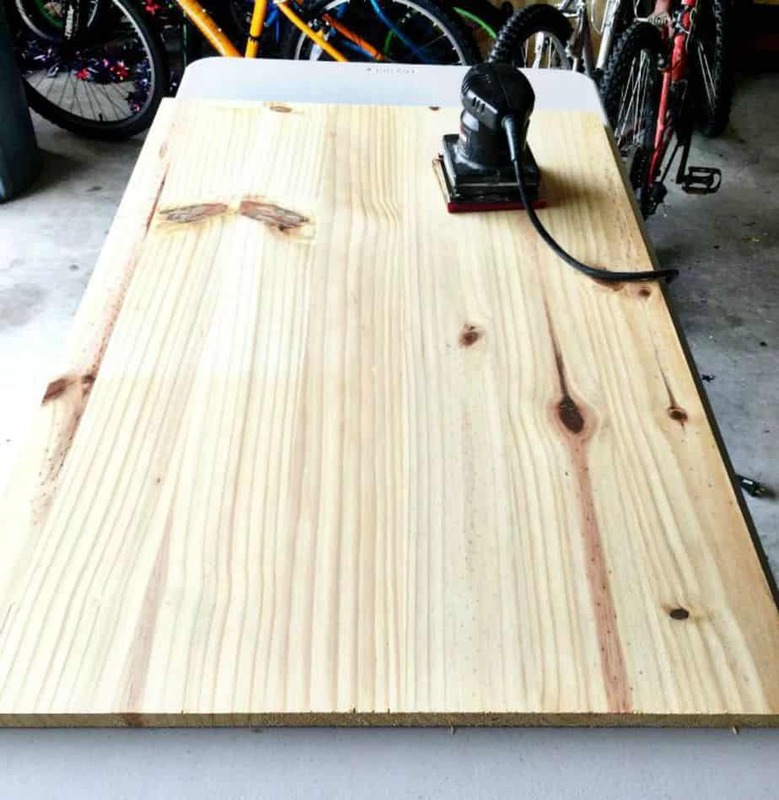 This step is easiest with an electric sander, but could be done by hand. Choose your bottom paint color. 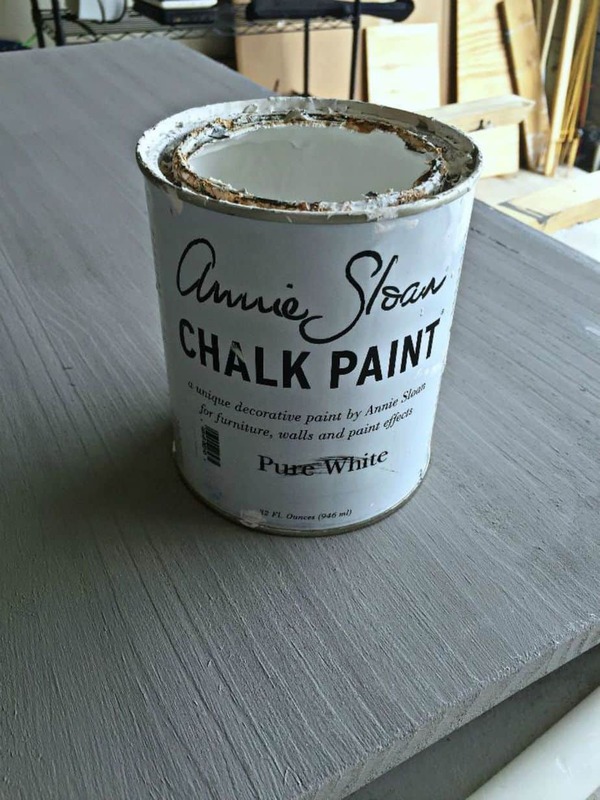 We use chalk paint. We like Cece Caldwell and Annie Sloan. The bottom coat color will come through after the last sanding. 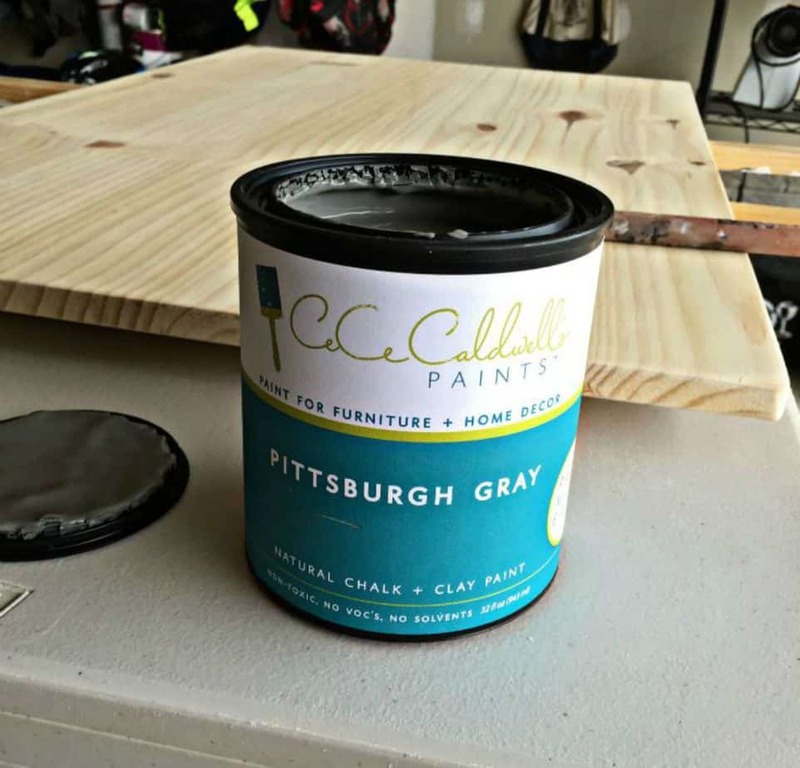 Paint both sides of wood with 2 coats. 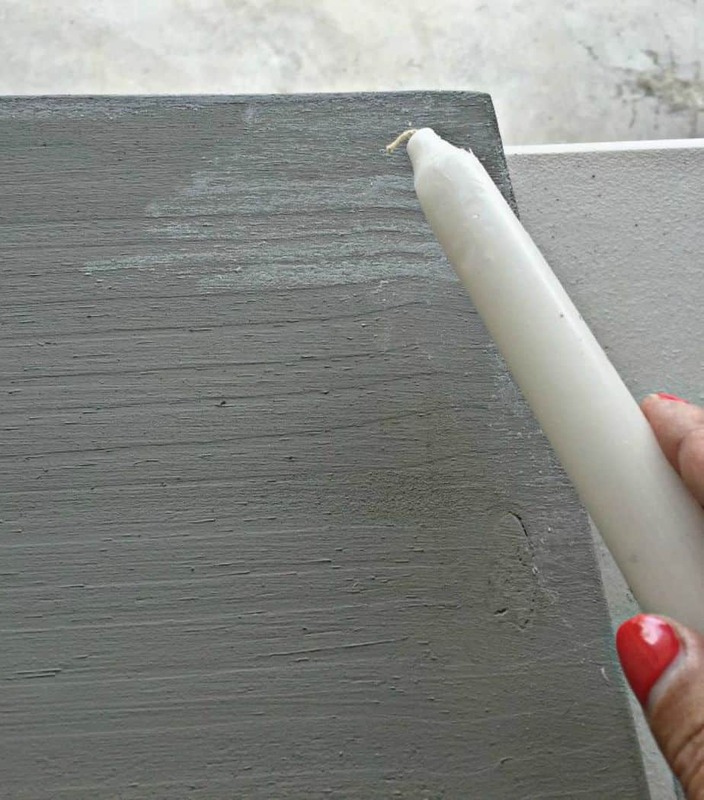 Use a white candle and rub it along the edges of the board. This will allow the bottom coat to be visible after the last sanding, instead of it showing the raw wood. We decided to use a pure white for the top coat. Paint 2 coats of white paint. I created a design through Sure Cuts A lot. It’s a program we use for our US Cutter stencil machine. We also have a silhouette as well. 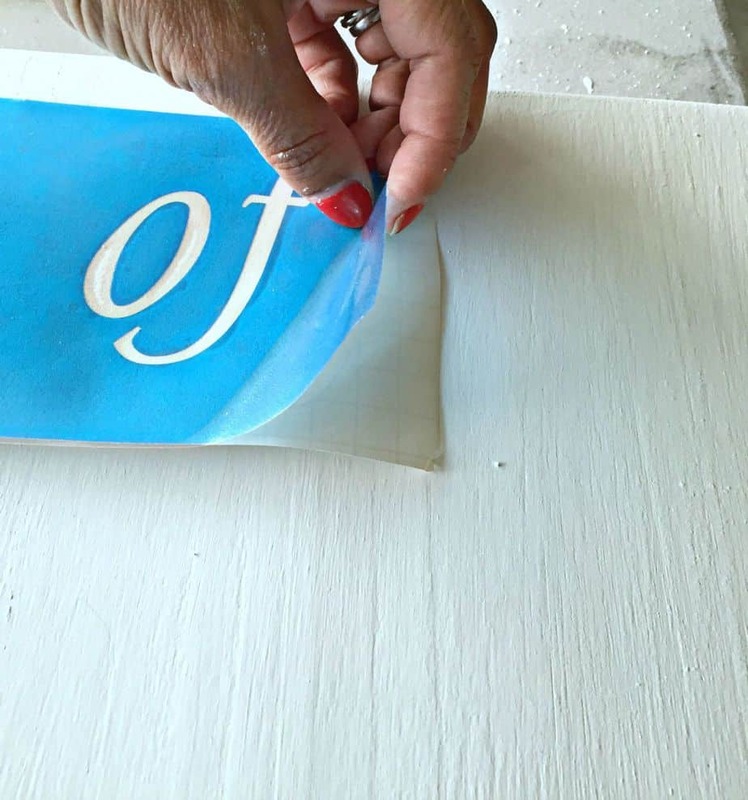 Once you have cut your stencil, peel away the lettering and place transfer tape on the top of the stencil. 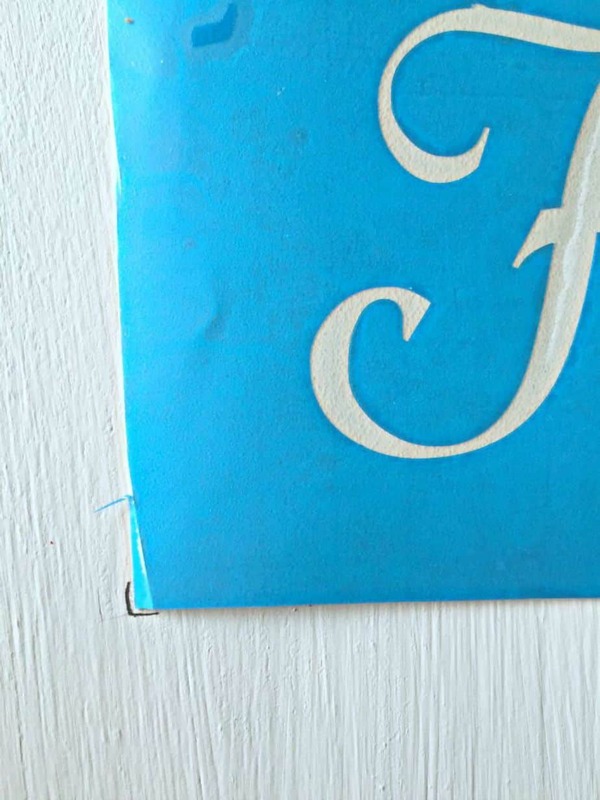 This keeps all of the stencil in place when you take the paper off of the backside when you lay the stencil to paint. 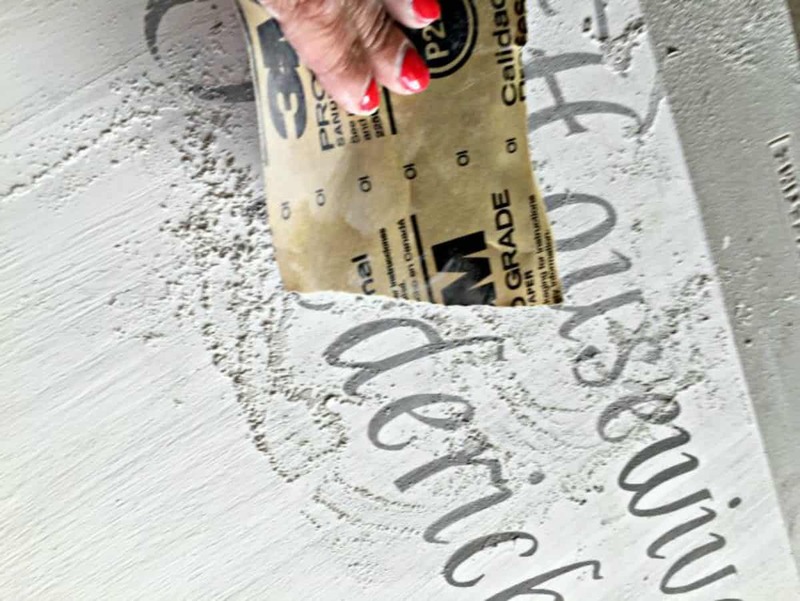 Measure your stencil to ensure that it is even and exactly where you want it. 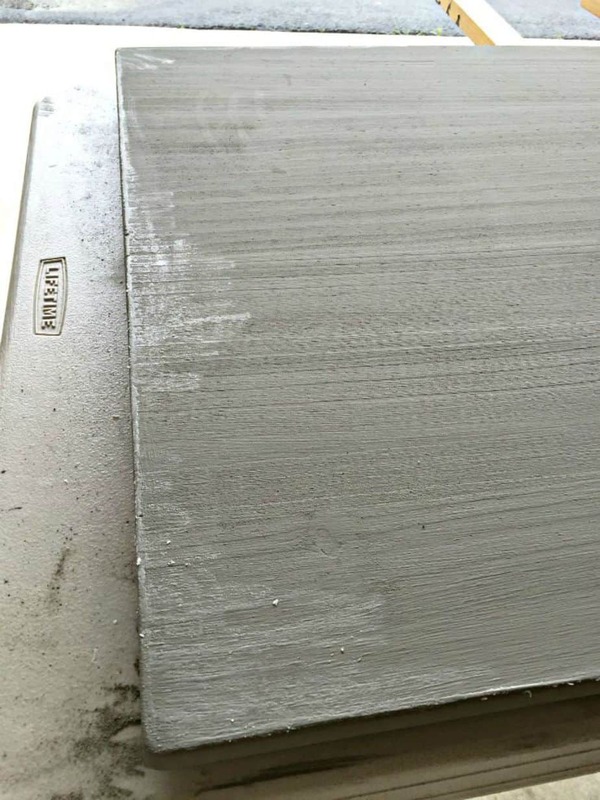 I make a mark at the corners to ensure that I line it up correctly once I take the backing off. Take the backing off the stencil and put in place. It is sticky, but not too much just in case you need to move it a bit. 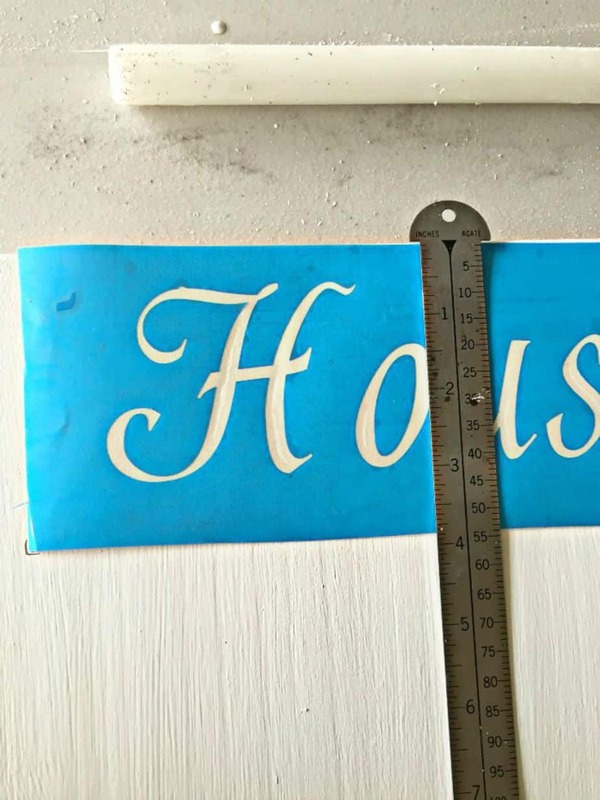 Remove the transfer tape and paint the lettering. We like to do 2 light coats. 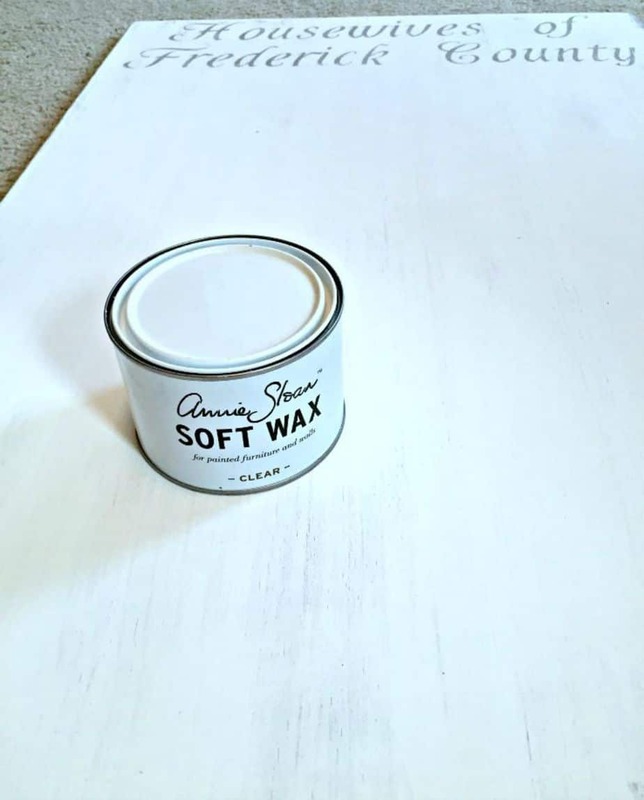 If you have to much paint, it may bleed so make sure you keep them light and dab off extra paint from the brush before painting. 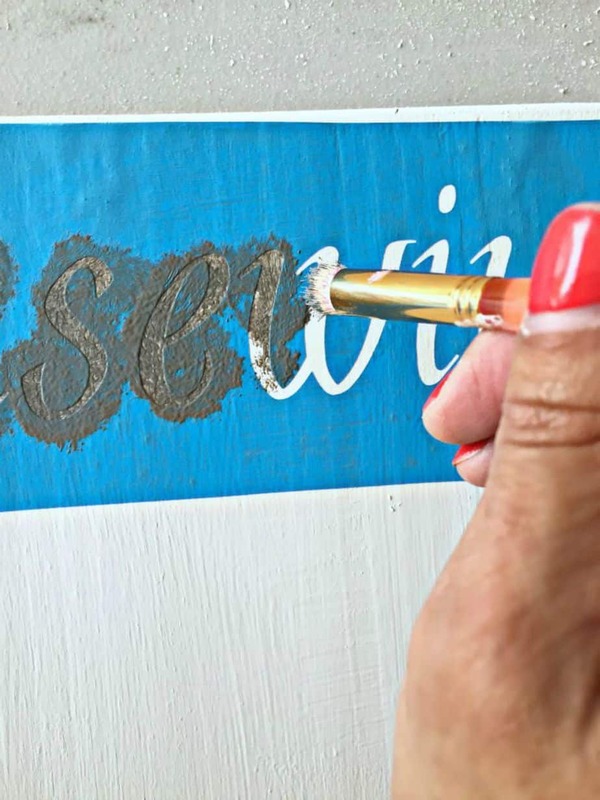 Gently remove the stencil. I use a hook or an exacto knife to remove little pieces that don’t come off initially. 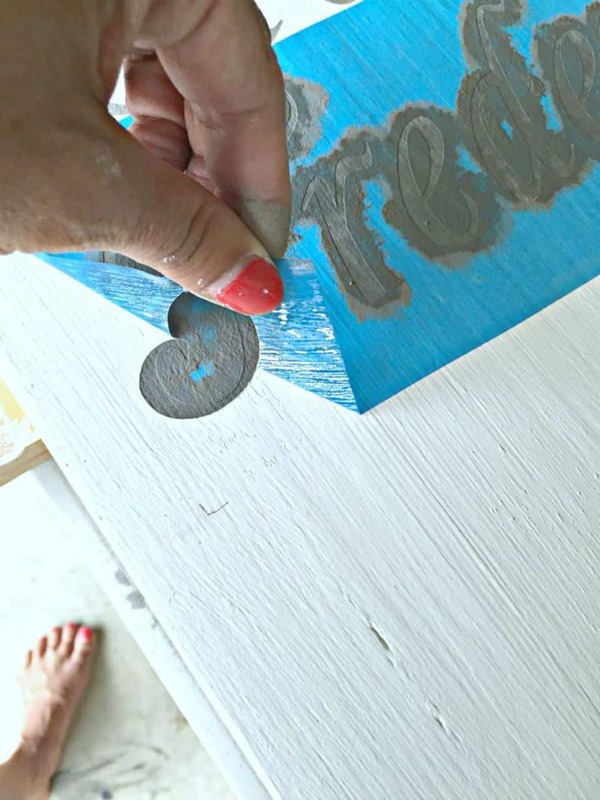 Once the paint is dry, use fine grit sandpaper to sand and make a distressed look. As you will see, where you put the candle wax, the bottom coat will come through and will not sand through to see the wood grain. Love candle wax! It will look something like this. Distress as much as you like…and next the final step…. 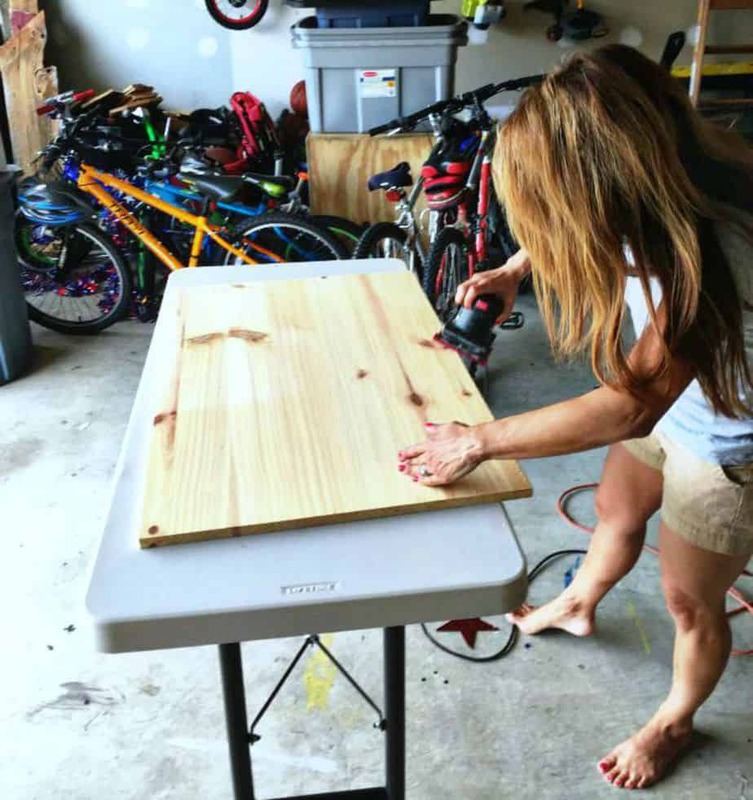 Put 2 coats of wax to protect your masterpiece. I love Annie Sloan Clear wax. Apply in a circular motion and buff to shine. I am so happy with my photo backdrop board! As you can see from the below pictures, my recipes now really pop! Thank you to Sissy & Co for this tutorial!! Check out their amazing work on their website, Facebook, Pinterest, & Instagram. Do you have great tips on how to make your photos outstanding?